From Casino Square to ‘the Swimming Pool’ and the Marina, the iconic Formula One Grand Prix street circuit is perhaps the first glance the wider world has at the glamorous and luxurious principality of Monaco. Set between the twinkling ocean and the dramatic hills that provide a spectacular backdrop for the city, it is perhaps no wonder that Monaco, the home of relaxation and adrenaline in equal measure, is the chosen home for many of the greats that have driven the tight corners of the street circuit in the course of their careers. Monaco rentals offer a way to enjoy the best of the city, and may even be found overlooking the iconic corners of the street circuit. The principality of Monaco is a place apart from the rest of France, with its own laws and tax system. Even though it is surrounded by France on its land borders, Monaco is an independent state, with its own constitutional monarchy. At only 2km², the principality is the smallest country in the world, after Vatican City, and with a population of around 33,000, is the most densely populated. With property in the city at a premium, Monaco rentals are a popular alternative to buying in the principality. Since the marriage of Prince Rainier to Grace Kelly in 1956 and the first Monaco Grand Prix in 1929, Monaco has been synonymous with the champagne lifestyle of the rich and famous. Partly due to the prestige of the city, and partly due to the fact that there is no income tax levies in the principality, the population of Monaco largely consists of wealthy foreigners. 84% of the population are immigrants, with a large proportion being French, Italian and British nationals. As such, Monaco is a modern and multi-cultural city that is truly self-contained, and Monaco rentals allow a ‘home from home’ for many foreign nationals. With nearly 4km of Mediterranean coastline and a warm, sunny climate Monaco is also a popular tourist destination, with a large proportion of the economy being driven by tourism. Monaco rentals are often popular with those who fall in love with the area on an always ‘too short’ visit. The principality is well served by train services from France, and the nearest airport is the Côte d'Azur Airport in Nice. While Monaco is independent, and only a few kilometres from the Italian border, Monaco is strongly allied with France in economic, political and judicial terms to ensure a lack of conflict in policy. The head of the government is a French citizen, appointed by the prince from a number of candidates proposed by the French government. As such, Monaco shares the currency of France, the euro, but does retain the right to mint it’s own unique coinage. The principality of Monaco is indistinguishable from the city of Monaco, but is subdivided into several wards where Monaco rentals can be found. Monaco consists of four original quarters. The first is Monaco-Ville, site of the original town. The rocky promontory is the site of the palace and is sometimes simply known as the ‘Rock of Monaco’. Monaco rentals in this quarter are often found in older buildings, and within the shadow of the old fortified city walls. La Condamine is found next to the old town, and contains the wards of La Condamine, La Colle, Les Revoires and Moneghetti. Monaco rentals here are often within sight of the harbour, Port Hercule, or by the exotic gardens. Most Monaco rentals, however, are to be found in the traditional quarter of Monte Carlo. 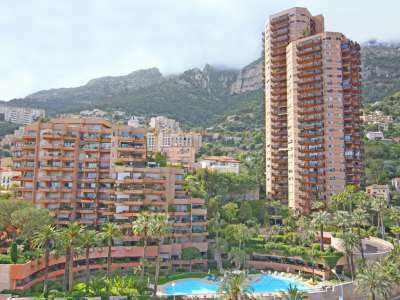 This quarter comprises of the eastern beach, the resort area and the principal residential areas for Monaco rentals. Like La Condamine, Monte Carlo is also subdivided into for wards; Monte Carlo/Spélugues, La Rousse, Larvotto and Saint Michel. The final quarter, Fontvieille, is the most modern location for Monaco rentals, having been reclaimed from the sea in 1971. As would be expected from such a prestigious and luxurious location, Monaco rentals are to be found near to a wide selection of facilities. There are museums with global reputations, most notably the Oceanographic Museum, expansive and serene gardens containing rare species of flora, and breathtakingly beautiful ancient buildings, including an 11th century chapel dedicated to the royal family’s patron saint. Monaco rentals are also found near a huge variety of superb restaurants, ranging from 3 Michelin starred restaurants with world-renowned chefs, to French brasseries and Italian speciality restaurants and Pizzerias. Nightlife in Monaco is exceptional, and the principality offers everything from a few drinks in one of the many relaxing café bars, to an adrenaline filled night at one of the iconic casinos. Monaco also draws many international names, and there are festivals and events held throughout the year. As the self-styled International capital of luxury, Monaco rentals are found amid a plethora of designer boutiques, especially in the Carré d’Or area of Monte Carlo in the heart of the town, as well as modern shopping centres and charming craft shops located in the historic quarters. The market situated around Port Hercule is characterful, as well as providing a wide range of produce. As would be expected from the world famous sporting events such as the Grand Prix held in the principality, sport is very important in Monaco. Some of the best and most desirable Monaco rentals are to be found near the Formula One street circuit, but away from the adrenaline based sports are a whole host of facilities. Monaco regularly hosts international show jumping events, athletics, and tennis events at the Monte-Carlo Country Club. The beautiful beaches around the town host Ironman triathlons, as well as offering windsurfing, jet skiing and parascending, amongst others. Of course, one of the most popular watersports in the principality is yachting, with world-class facilities in the iconic marina. Beauty and fitness facilities can be found throughout Monaco, offering a wide range of treatments, pools and fitness rooms.